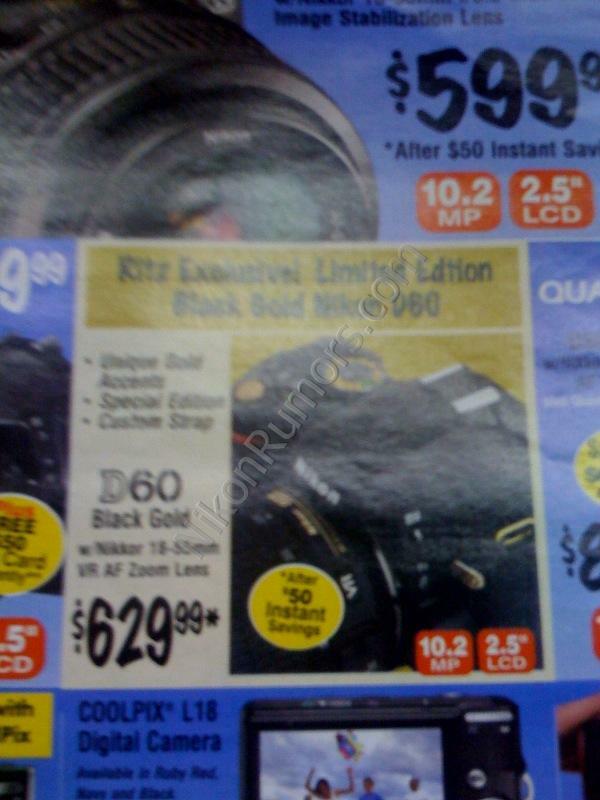 This is how the Nikon D60 Black Gold ad will look when it comes out from Ritz in two weeks. As I speculated before this will be a Ritz exclusive deal (thanks for the picture M). The camera is already available online. For the history of the Nikon D60 Black Gold Limited Edition rumor click here.